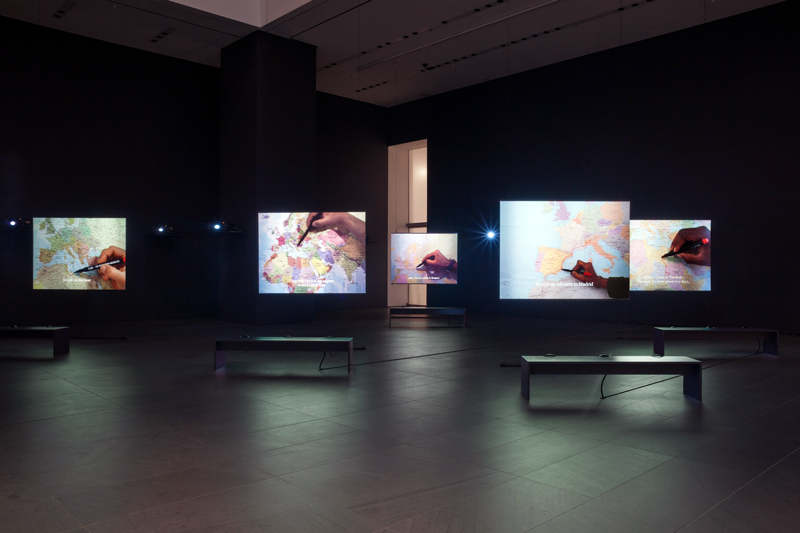 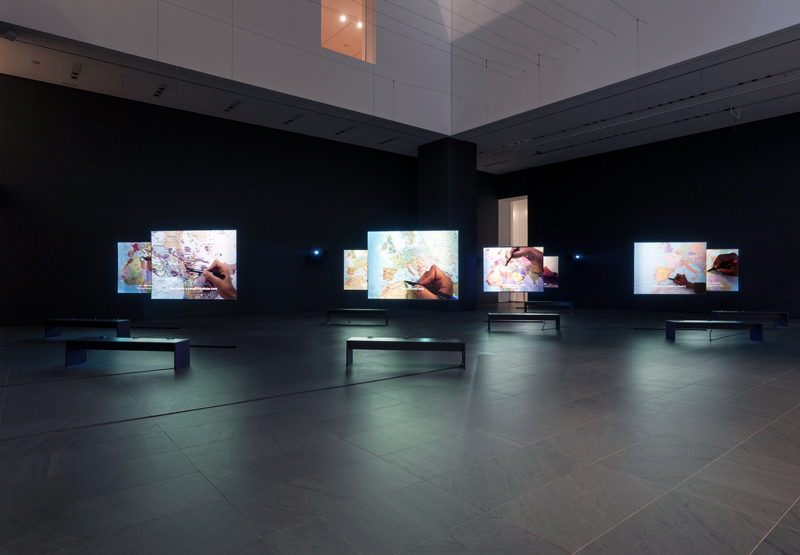 Produced between 2008 and 2011, The Mapping Journey Project is an installation composed of 8 single channel videos. 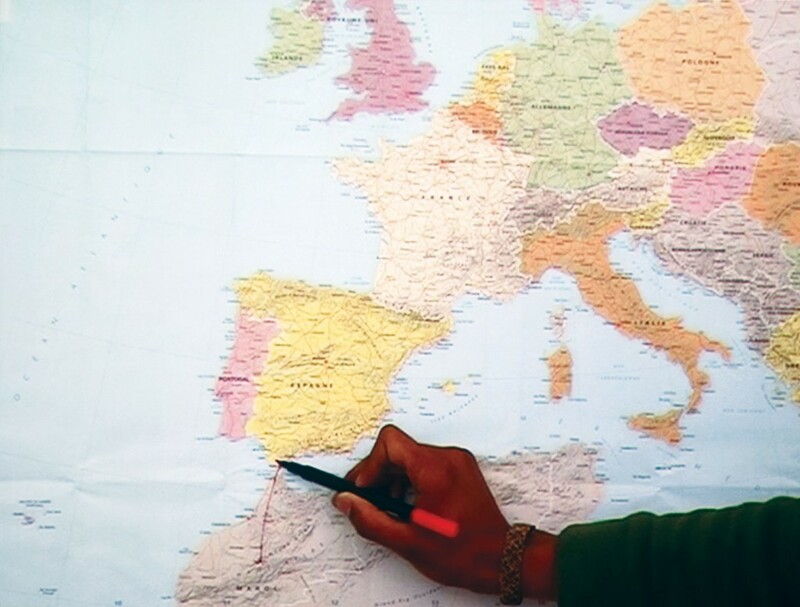 This project aims to draw an alternative practice of map-making elaborated and shaped from the perspective of individuals forced to cross borders illegally. 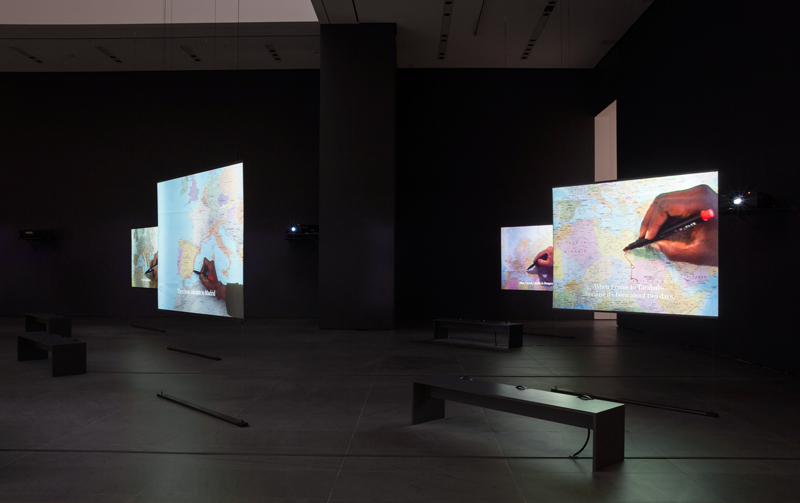 Each of the videos is based on one long static shot. 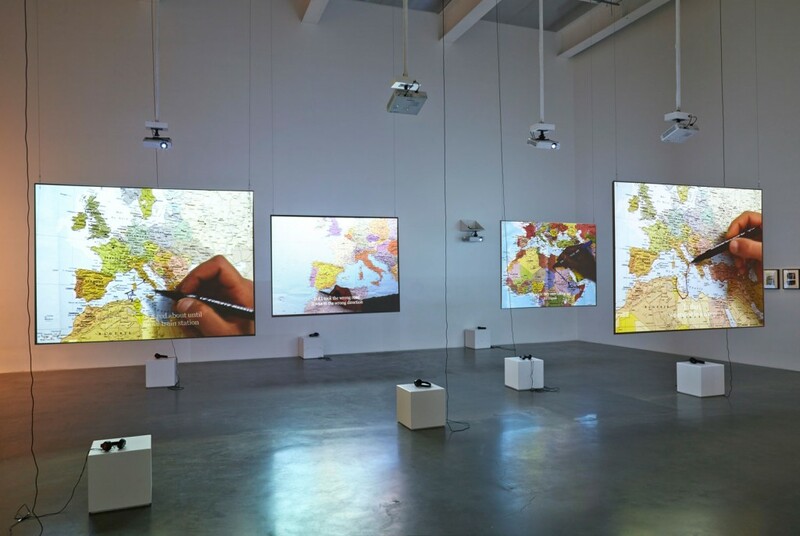 A hand holding a permanent marker draws literally on a map the tortuous and complex roads across borders that forced illegal journeys generate, while off-screen the narrators recounts factually the journey.